You are here: Home » Blog » Uncategorized » Well done Rich & Ray! Birkenhead’s Danny O’Connor became just the third man in the 100-year history of the New Zealand bowls championships to claim his 10th title at Browns Bay earlier today. O’Connor was a member of a composite side skipped by Aramoho’s Peter Belliss and including Richard Girvan (Onehunga) and Lance Tasker (Tauranga) that withstood a spirited late comeback in the final from Raymond Martin (Victoria) to win 17-13. 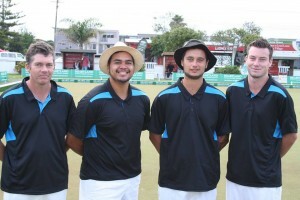 Martin’s team included Monte Pawa and Rory Soden (both Glen Eden) and Richard Corry (Victoria). After the frustration of losing the pairs final on an extra end on Sunday with Girvan, O’Connor was not to be denied this time. He equals Nick Unkovich and Gary Lawson with 10 titles on the all-time list. O’Connor has now won the singles and pairs one each and the fours on eight occasions, the first being with Unkovich way back in 1975. With some telling shots in the first two-thirds of the final from Girvan and Belliss – twice he converted two down to two up – the game had a sense of inevitably about it at 16-4. But Martin’s young side showed plenty of character. They took the next four ends, which was highlighted by a five on the penultimate end, to bring the score to 16-13 playing the last. With Martin’s front stuff growing in confidence, they held two fine shots, before Tasker drew an absolute beauty to arrest the decline. Pawa and Martin were unable to take find the necessary three and a relieved O’Connor was able to reflect on a momentous achievement, even if he did admit to being “a little bit numb”. The victory was the seventh national title for Belliss, a second for Girvan and a fourth for Tasker. 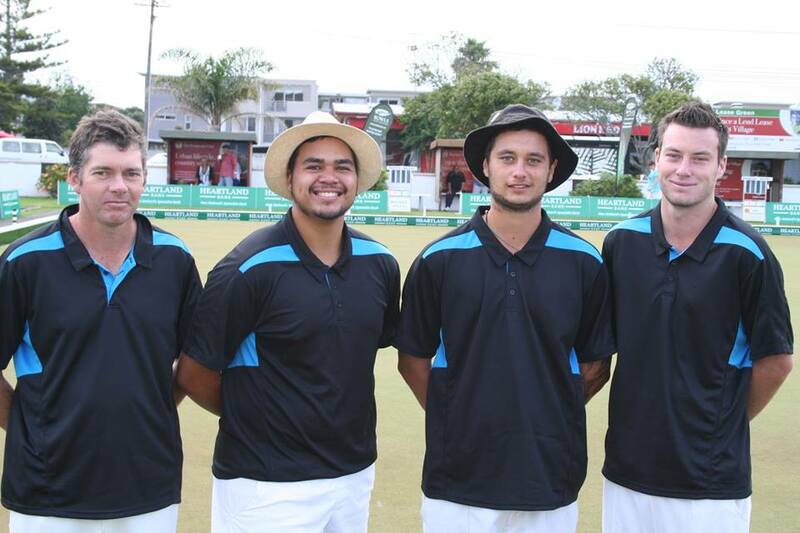 Belliss now has seven titles and two in the fours, was full of praise for his young opponents, Martin, Monte Pawa and Rory Soden, from Auckland’s Glen Eden club, both 21, and lead Richard Corry, a relative veteran at 42. Down 4-16 after 12 ends, but not having played badly and only being denied more shots by Belliss, the Martin four made a superb comeback and with a five, when their excellent draw bowling was finally rewarded, on the penultimate end, made the score 13-16. But just as it seemed on the 18th and last end a dramatic recovery would bring a miraculous win, Tasker sealed the result by drawing the shot. Corry, the most experienced of the young four, thus failed to join his uncles, Phil and 1988 world champion Ian Dickison, as national title-holders. Auckland’s Petar Sain won the men’s consistency prize and Leigh Griffin the women’s.